Walking my content belly away from the deliciously indulgent Bursaria High Tea last Sunday, I meandered my way through the Shirt and Skirt Market, an emerging designer market selling quality Australian fashion and accessories, which runs in conjunction with Bursaria's High Tea on the third Sunday of each month, in the grounds of the stunningly beautiful Abbotsford Convent in Melbourne. 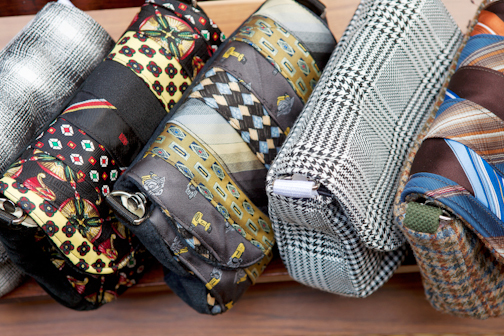 My eyes stopped on a stall selling wonderful bags made with re-purposed neckties. It is fair to say, I'm a big fan of recycling men's neckties, having made things out of thrifted neckties in my own sewing and refashion projects seen here, here and here. 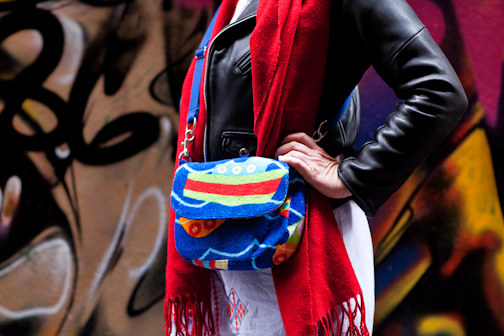 Gabrielle, under her label Gabby Lane Accessories scours Australian thrift stores to seek out materials that can be reused for her upcycled sustainable bag designs. 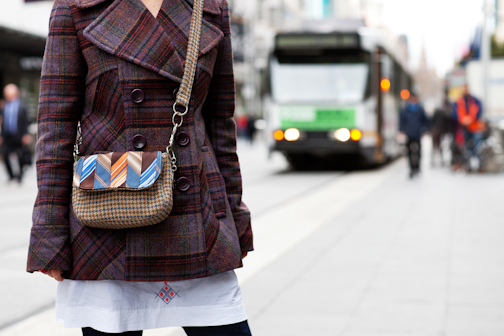 A large proportion of her bag fabric is re-purposed men's neckties, as well as tweed jackets and upholstery remnants. 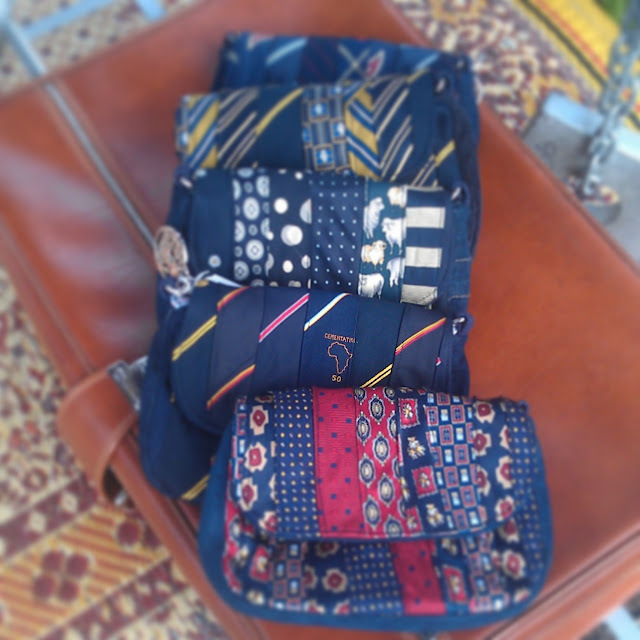 Gabrielle spends quite some time to make each piece individually, matching and sewing colourful neckties to produce upcycled bags filled with colour, texture and shine. Gabrielle has taken some time to answer some questions related to her design history, and her passion to create sustainable bags from recycled materials. 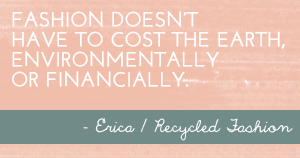 Evidently caught by the creative bug, Gabrielle has moved between being an artist, graphic designer, jewellery maker, and is now a sustainable handbag creator. "It all started with one of the hand-operated Singer machines given to me when I was a little girl. My mother, in her wisdom, insisted I learn to sew. These days I have a solid heavy-duty industrial Juki to play with"
Gabrielle's inspiration behind sustainable design started a few years ago when participating in short courses at London College of Fashion and Central St. Martins. "I was in London because I knew I wanted to start my own label, but it was only after going to the Tate Gallery and seeing an installation which was entirely composed of discarded clothing - did I really start thinking about the nature of the fashion industry. All these indie hopefuls and industry stalwarts are contributing to these enormous mountains of casually thrown away garments. We're all pursuing an individual dream and totally caught up in our journey, that we don't often think beyond the bubble." "That huge mountain of clothing, the tip of the iceberg, once investigated, turns out to be a nightmare. That's when it struck me, in that gallery, to follow in the footsteps of the Dadaists and look to uncover the potential and beauty of the ready-made. ;Like those post-war artists, I scour the streets looking for treasure I can turn into something fresh and new again." Gabby Lane Accessories started trading exactly a year ago, before then, Gabrielle concentrated on teaching herself to sew bags and make patterns. 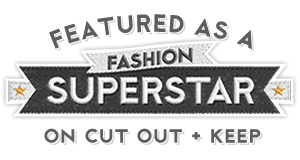 Gabrielle gives credit for her acquired skills to Nicole Mallalieu, the author of 'You Sew Girl'. Nicole holds bag-making classes in her Northcote studio in Melbourne. "Over the last year, I've learned so much by trading at markets and talking to people. I started with one design in two sizes. I know have four sizes in my original design, a tote and a purse. This week I hope to finish sampling and start producing my new tablet sleeve." Gabrielle is currently working on her own website gabbylane.com, which should be finalised by the end of August, where her beautiful recycled necktie bags (and other designs) will be available to buy online. In the meantime, you can find Gabby Lane Accessories on facebook, or visit her market stall if you happen to find yourself in Melbourne. Her next market stall has been confirmed at Luna 1878 Winter Night Market, every evening from the 7th-28th August. Gabby Lane Accessories will also be attending the next Northern Regards Artisan Market on Saturday 10th August. her bags are really special! thanks for sharing her creativity with us. I love every single thing about this post !!! 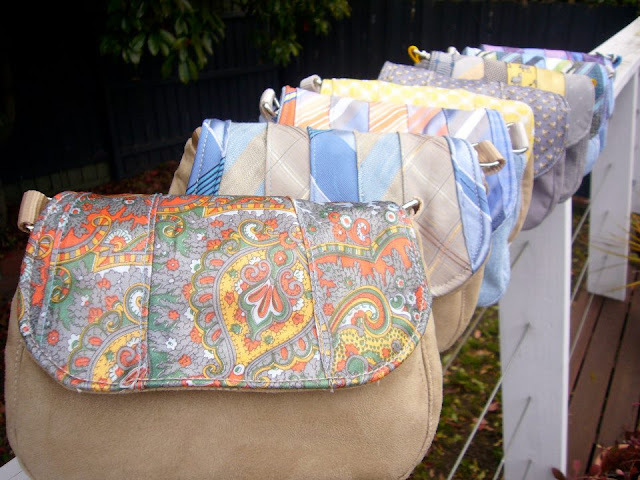 Can't wait to have Gabrielle and her fabulous bags at Northern Regards Artisan Market. Fantastic bags! What a great idea.....there are so many inspiring people out there. I miss the whole Australian market thing - although I think Melbourne is far ahead of Sydney. Wow! 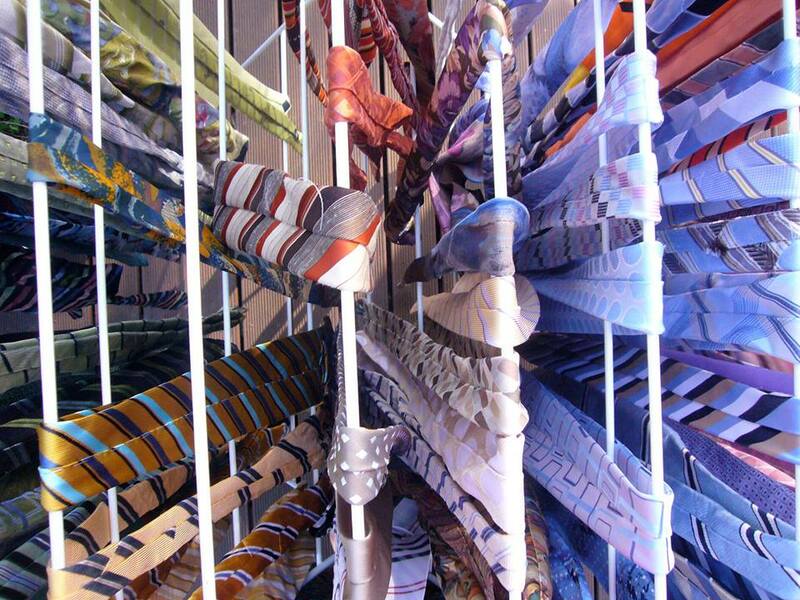 Love it, never seen neckties recycled like this before. Thanks for sharing! Glad you all appreciate Gabrielle's bags as much as I do! I always love tie refashions. These bags look great. 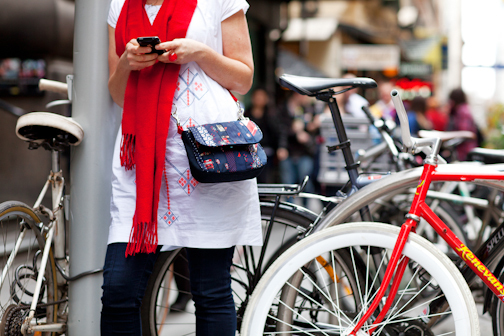 I saw her stall as a market in Bendigo and fell in love with the bags. She only had ones with brown tones in the size that I wanted, but I prefer blacks and greys so she asked me to look at her facebook and web pages and send her some photos of bags of hers that I like. She promptly made a few options for me to choose from and posted it out! The quality has been fantastic, and I'm planning on making a trip to a market soon to get another one in the smaller size as well.